Stars Hollow is a three piece band from Ames, Iowa who formed in 2015, from the looks of things. Stars Hollow play a great style of music that incorporates elements of punk, screamo, emo, and math rock. Musically, Stars Hollow can be loosely compared to bands such as Street Smart Cyclist, Snowing, Sports, and other like-minded bands. Since forming in 2015, Stars Hollow have released a five song EP titled I'm Really Not That Upset About It in March of 2016 and a four way split with Catholic Warewolves, Internet Dating, and Employer in May of 2017. 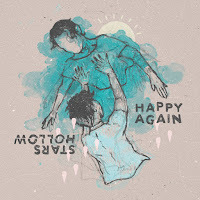 Happy Again is the band's latest EP, which was released on March 23rd, 2018. 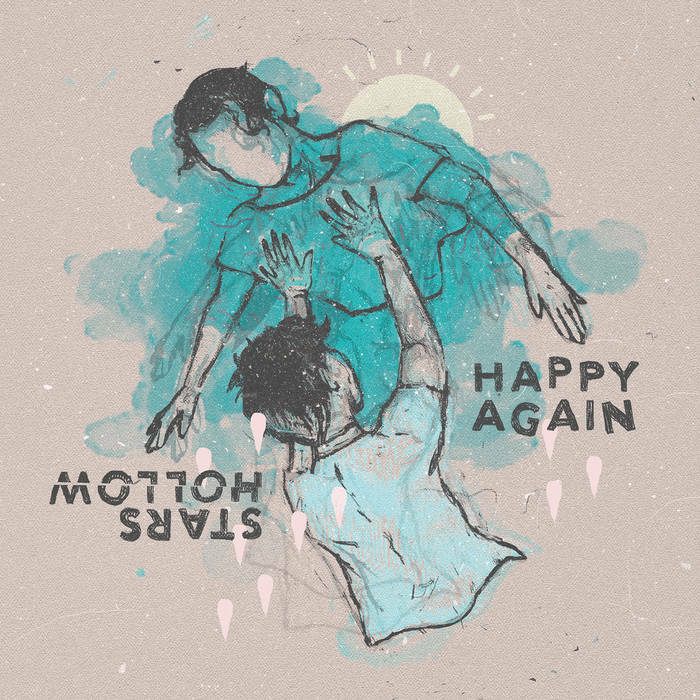 On Happy Again, Stars Hollow offer up five tracks of melodic and upbeat sounding punk, screamo, emo, and math rock. Overall, Happy Again makes for an awesome listen and definitely should not be missed. Great stuff! Enjoy!